In 2005, James and I, along with some other church friends, met Mr Brad Chapman. Brad runs a successful home mortgage and finance company … but his great desire, motivated by his faith, was to use his time and resources to combat oppression and poverty, in Australia and overseas. He was studying theology as well as managing his business and in 2004, he was a member of the Leadership and Development team of the Australian Government’s National Youth Roundtable. Brad has traveled with the Australian Board of Mission to Papua New Guinea, Northern Australia, and the Diocese of Jerusalem and was on his way to speak at an ABM conference about his experiences of the church in the Middle East. The Episcopal Diocese of Jerusalem extends over Lebanon, Syria, Jordan, Palestine and Israel and is centered on the Cathedral Church of St. George the Martyr in Jerusalem. Thirty-one parishes minister to the needs of their communities and the Diocese supports thirty-four institutions that include hospitals, clinics, kindergartens and schools, vocational training programs, as well as institutions for the deaf, the disabled and the elderly. Brad and his travelling companions were allowed to visit Gaza only briefly. They visited the Ahli Arab Hospital, which is a ministry of the Diocese of Jerusalem, and met Ms Suhaila Tarazi its director. Because of the conditions of the Israeli occupation, she had been unable to leave the area for months and has had few visitors. I found this telling report on the Diocese’s website. 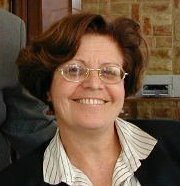 Interview with Ms. Suhaila Tarazi, Director, Ahli Arab Hospital, Gaza, 4 December, 2004. Today the situation is critical. There is so much uncertainty about the upcoming elections, and the siege continues to take place. There are concerns about personal security and we are living in a chaotic situation. We need to push for negotiations to continue, and for peace. We need this push for peace because there is too much suffering here and most people have lost hope. We are afraid of the continuation of such suffering, that it will lead to violence, and that Gaza will explode again – and this time it will not end. Nevertheless, Ahli Arab Hospital is still active and doing our best to reach those in need. We have outreach clinics nearly every week, and are targeting new areas with new missions. There are still hundreds that we are unable to reach due to a shortage of funds. We are grateful to all who have support this project, and have participated in putting a smile on the face of so many ill Gazans. We have expanded the surgical services in the hospital, especially in the area of urology, and we hope to expand this work even more in 2005. During the October incursion of the Israeli military into north Gaza, one of our hospital members lost her home. Ezzia and her family are refugees, and had just moved into a new home in Jabaliya, only moved in six months before. They are still paying on their debts for their home and had done nothing. This home, along with ten others, was in the way of the route the tanks decided to follow, abandoning the roads in the process. They were unable to get anything out; no personal papers, jewelry, or anything. The bulldozer began to demolish the balcony while they were still inside, and one daughter was in the shower. Ezzia and her husband escaped with only their six children. Her husband has been ill with a brain tumor as well, and does not move quickly. Ezzia works as a nursing assistant at the hospital and is the only one to support the family. One of her children was shot in the neck during the incursion and was treated at Ahli Arab Hospital, and fortunately does not have any permanent damage. Prior to the demolition of their home, her nephew had been killed a few days before. The adolescent child of another staff member went to go help his friend, who has been shot by an Israeli sniper during the October incursion, and was killed himself. He was seventeen. His father has experienced such psychological trauma, that he has not been able to return to work. He works to save the lives of others, but was not able to save the life of his child. Ahli Arab Hospital is a small family, and we have suffered so much, just from the October invasion of Jabaliya Camp. Imagine how many others have suffered? Please ask all peace lovers to pray for the people of Palestine. Jesus come to give us peace. Palestine is the hometown of Jesus, and he talked about peace. He was crucified for this. We ask you to pray, and to talk about our suffering, and to work to help us achieve peace. Little has changed … Pray for the peace of Gaza.